Quick note – I wrote this, then decided to edit it a bit and by the time I got to that, we were in an area with no internet where we’ve remained for a few days, so this is just slightly out of date. We just pulled into Mazatlan and have good internet so I’ll try to catch up while we are here. We left La Cruz about two weeks ago, with the thought of a leisurely one or two week trip to La Paz. We’ve gone 60 miles, with something like 300 miles left to go. Lethargy has set in so completely I’m not even going to bother to to do the work to figure out exactly how far we have left to go. I suspect we’ll put a bit more of a move on soon, Jenn is out of wine and I’m out of beer. Our next planned stop will be no help in that matter, as it is an island uninhabited by people about 40 miles north. It does have a huge population of birds, and we are hoping for our first close up sighting of a blue footed boobie. From there the plan is Mazatlan for a day or two to grab some provisions, and then hop across when we get a good weather forecast for crossing the Sea of Cortez. If I had won that Powerball we could have traveled a bit less leisurely. But they don't sell tickets down here. We really didn’t mean to crawl along like this, but there wasn’t a lot of wind heading north when we left Banderas Bay, so we stopped at the first anchorage, a small town called Jaltemba which we had skipped on the way down. 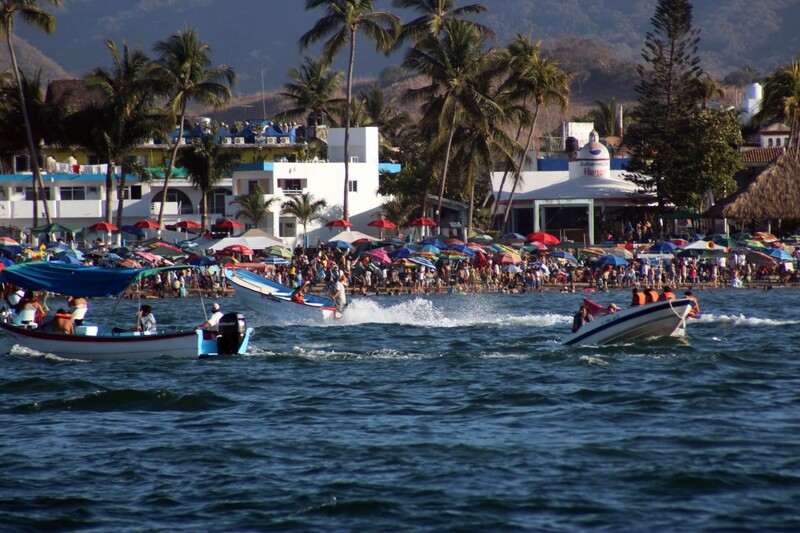 The Mexican holy week, Semana Santa, had just started and the town was absolutely packed with locals. 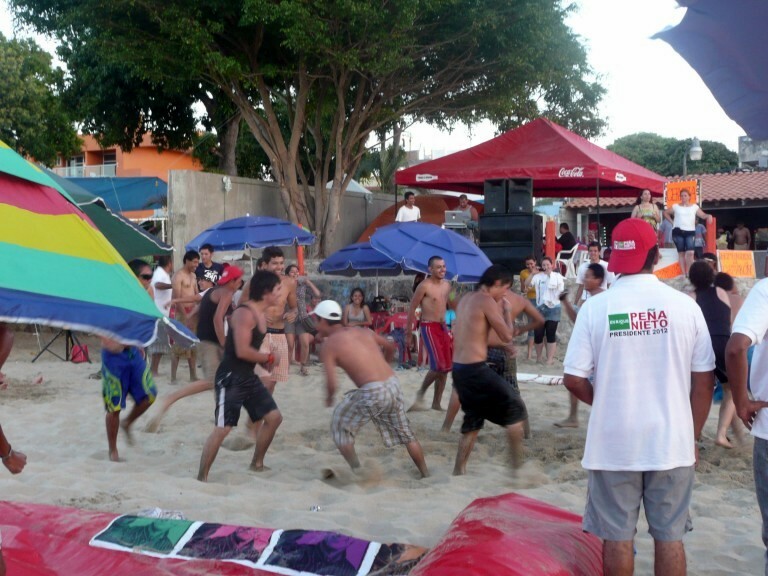 The beach would fill up with families and bands, the bay with jet skis and pangas towing banana tubes of tourists. At night, the main street would close down and vendors booths of goods and food would open, along with carnival rides and games of chance. The Bandas would sometimes play mere feet away from one another. They consist of a tuba, drums, trumpets and other brass instrument, and clarinets. From the boat you can hear the tuba and drums and not much else, but up close they pour out the sound. There was one other boat in the bay when we arrived, and they left a day later, leaving us alone in a somewhat rolly anchorage, but between the festivities and light wind forecasts we ended up staying for almost a week. Finally we mustered some motivation, and moved on 8 miles to the next stop, Chacala. 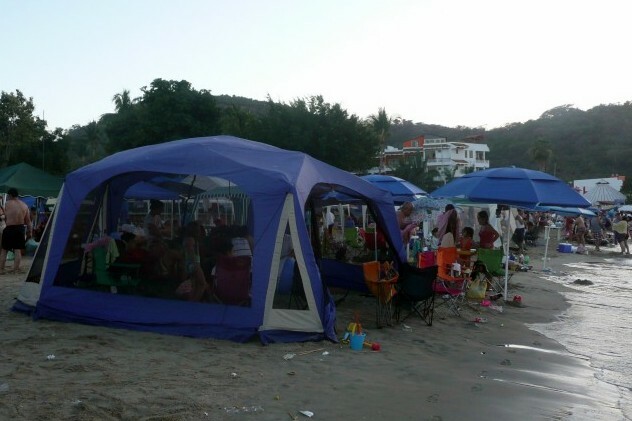 We caught the last day or so of Semana Santa there, and while there were not as many people overall since is a much smaller town, it was just as packed with people even camping right on the beach. Jenn gets a fish skewer, a very tasty regional specialty in Jaltemba. 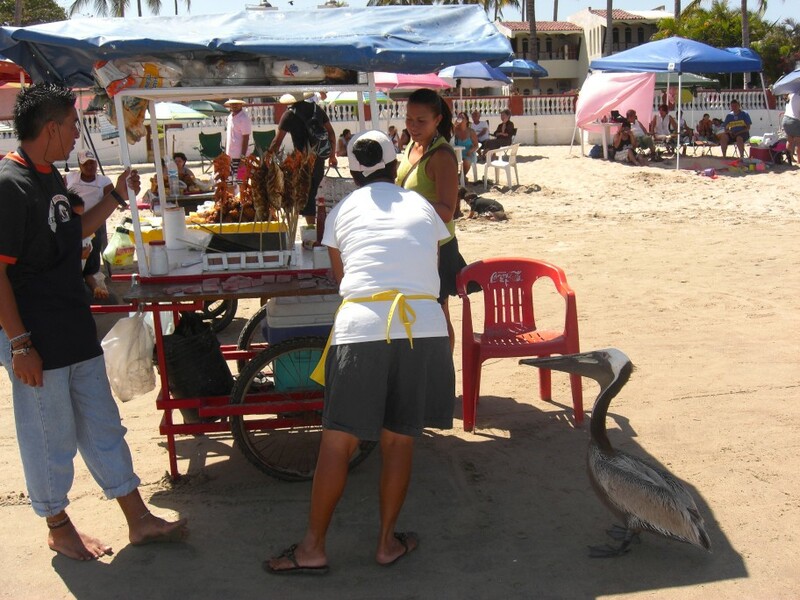 The pelican was unable to produce the pesos for a skewer, but did get a scrap tossed its way. One of the non stop Banana tubes going by. That is what I call a crowded beach. Not that is how you go to the beach for a day (or week). Nothing says Holy Week like slam dancing to Mexican punk music. Once Monday rolled around the crowds dispersed, and we decided to once again resume our trek. This time we at least made it about 20 miles to the next stop, another one we had skipped on the way down. San Blas is a rustic little town, know for Jejenes (no-see-um bugs), and for an ex-pat named Norm Goldie who broadcasts offers to assist cruisers daily (and even multiple times a day) but has had severe run ins with multiple cruisers who have somehow incurred his wrath. 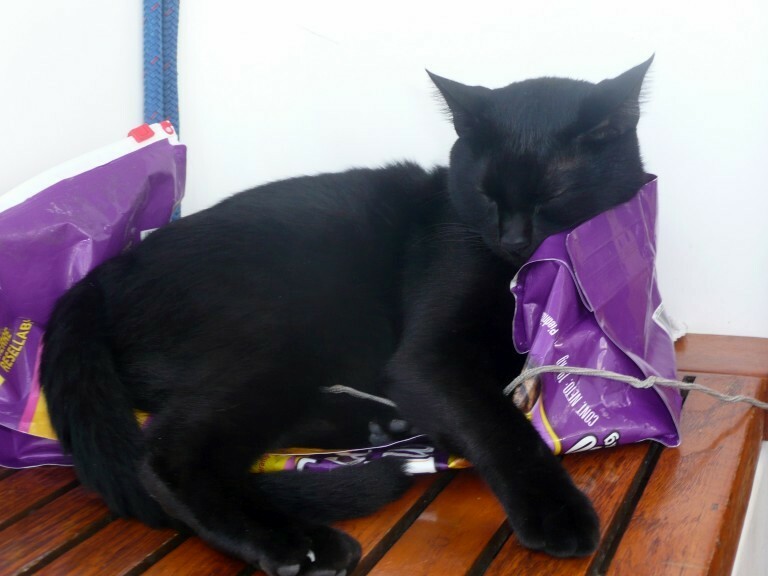 His presence here has caused more than one flurry of letters to the editor in Latitude 38, a bay area sailing magazine that is a main sponsor of the Baja Haha. 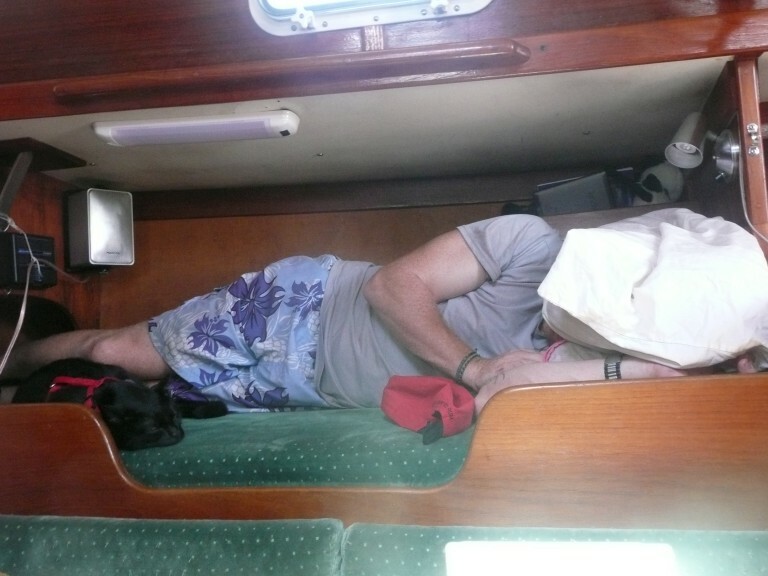 Jenn found multiple blog posts from cruisers who had run afoul with him, or heard him berating fellow cruisers on the VHF radio. Our story? Nada. We saw him and his wife in the town square a couple evenings, but just decided to steer clear. 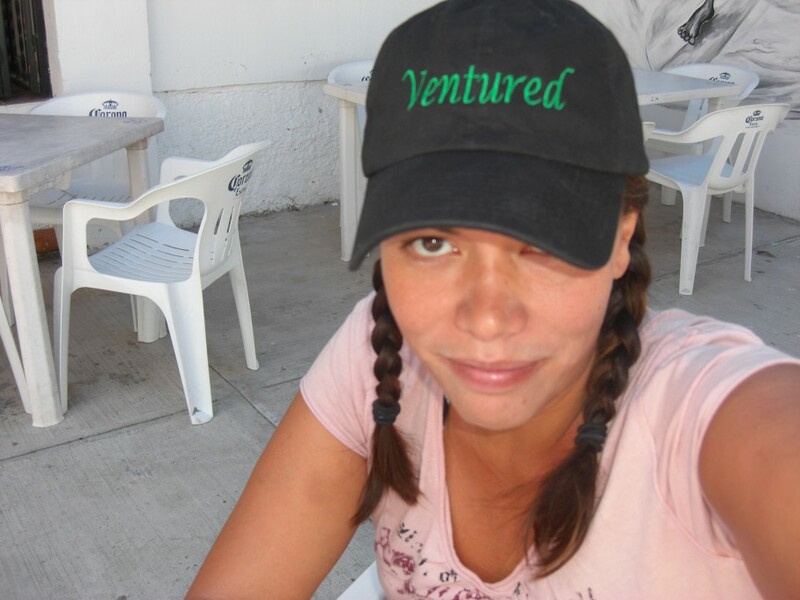 As much as I enjoy an adventure to blog about, it just seemed prudent to keep a low profile. We spent a day or so anchored out in the bay, then took Decade Dance up on their offer to lead us into the estuary when we decided to get a couple nights at the marina. The surf landing in the bay looked a bit intense and was still several miles from town, we needed water, and we hadn’t given the boat a good wash in awhile. 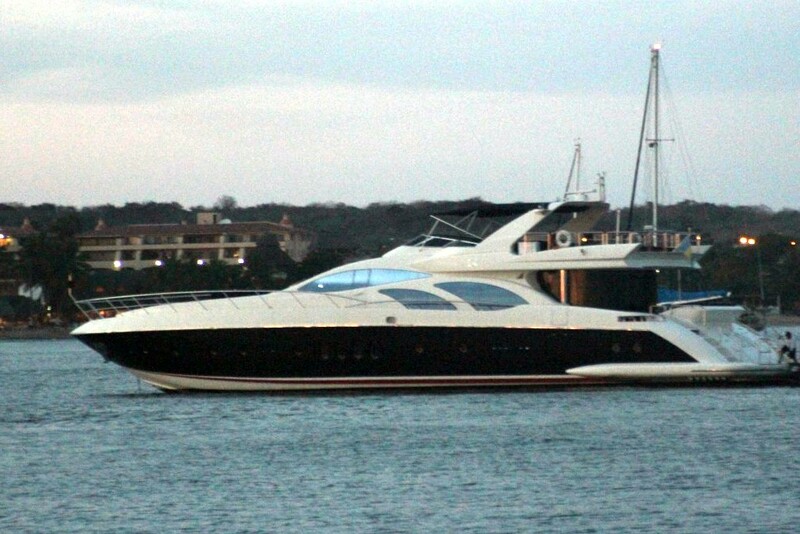 So we broke down and reserved a couple nights at a dock. Between the work on the boat, we did visit town for supplies, and found a local bar named Billy Bobs with a 10 peso beer special on our first day in town, and an 8 foot or so crocodile named Fluffy in a cage in the back. That bartender didn’t have much to offer for food and encouraged us to buy something elsewhere and bring it back to the bar. 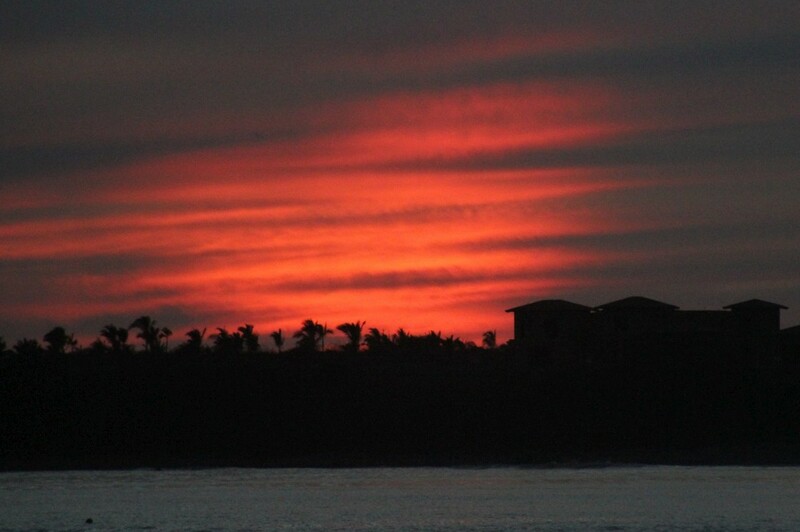 Have I mentioned how great Mexico is? How we pass our time when we are taking it easy. Minion doesn't need us to nap, just an empty kitty litter bag. Ahh, the simple things in life. With the boat cleaned, water tanks filled, and some showers (granted with no hot water) taken, we left the dock. It was a bit of sad departure because the wi-fi antenna we picked up at a swap meet in La Cruz was pulling the marina’s wi-fi in just great on our boat and giving us some nice download speeds to catch up on some TV shows and movies we were behind on (hello season two of Game of Thrones!). And then, the departure got worse. We were passing the fuel dock and decided to stop to top off on diesel, however we were already a bit beyond the dock. No problem, I’ll just back up, which was going great till we hit bottom. While we weren’t going fast, there was enough momentum to feel the boat lift up a bit. The problem with this (other than the obvious that it is never good to hit the bottom) is that our boat has a centerboard which I had neglected to raise while we were the shallow water of estuary. If I had hit going forward, it could have swung up, but in reverse it was a bit like bending your knee the wrong way. The stress on the line used to raise and lower the centerboard caused it to tear the block it runs though off the cabin top. 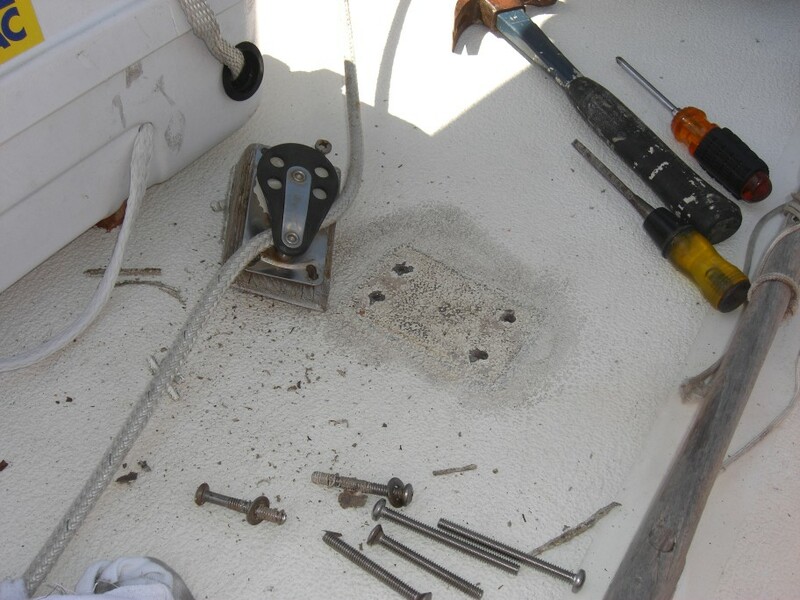 On the plus side it tore out cleanly by just breaking the bolts, and not tearing a chunk out of the room of our boat. We were able to bolt it back down the next day, for once my box of fasteners providing the right bolts. A little boat project created by a big oops. Once we were back anchored in the bay, I did some checking from the water side of the hull. Right after the incident we had lifted all the floor boards and didn’t see any water running in. From the outside, it appears the centerboard swung forward and did a minor bit of damage to the trunk the centerboard pivots up into, but nothing structural. We’ve been watching the bilge and don’t appear to be taking on water, and the centerboard still pivots, so while I finally learned a lesson that did cause some damage, it looks like it could have been worse and we are pretty lucky. There is a haul out yard here in San Blas, and we had considered pulling out here. The bottom of the boat badly needs new bottom paint, and this yard lets you do your own work. However, back to the Jejenes… they don’t seem to bother me, but Jenn has had terrible luck with them despite insect repellant and screens on our boat. Not only do they like to feast on her, she reacts badly to bites with much itching. Also, we don’t have the supplies for painting the bottom and there isn’t a marine chandlery here so I would have to bus back to PV to buy supplies. So we’ll do some checking in Mazatlan, and are also considering La Paz or Escondido for haul outs. We are now leaning towards the bottom work in the spring, rather than waiting for our arrival in San Carlos later in the summer/early fall. 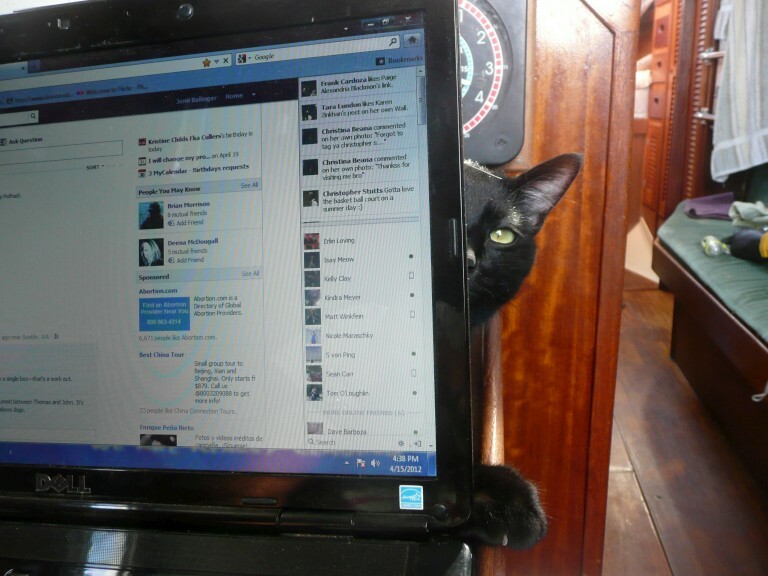 Minion keeps us amused when the going gets slow. And we aren't all napping. The interesting thing about the last couple weeks has been the lack of a gringo cruising community, if not a lack of gringos altogether. At Jaltemba we saw a heard a few people speaking English, but very few, and for most of the time we were the only boat at the anchorage. 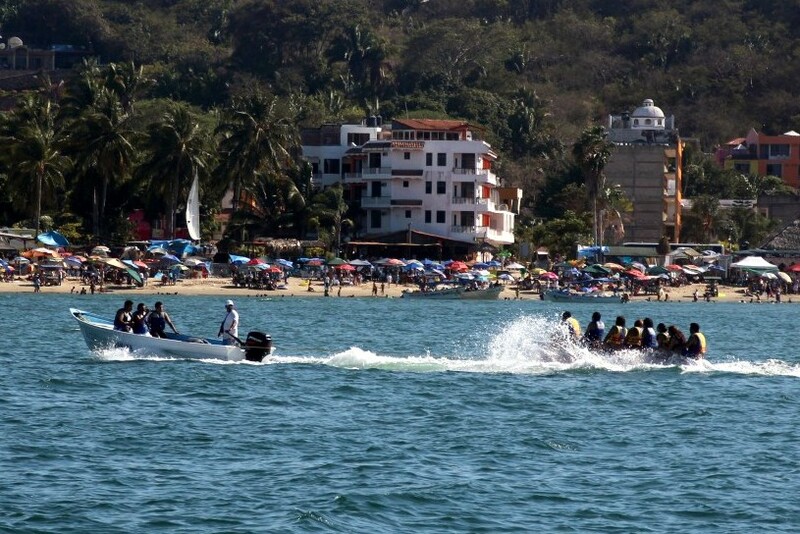 There were more boats in Chacala, but we didn’t run into anyone on shore. There were a few gringos in San Blas, but it felt very much a Mexican town, with no mega stores like many of the cruising stops have. My kayak trip to the beach and walk into Mantachan for some supplies put my Spanish speaking skills to the test. Amazingly I was able to determine they didn’t have fresh baked regular bread, although the specialty there was home made breads with various fruits (go figure no regular bread). Since they didn’t have the jack fruit I wanted to try I settled for a coconut and what seems a rather mundane banana bread. 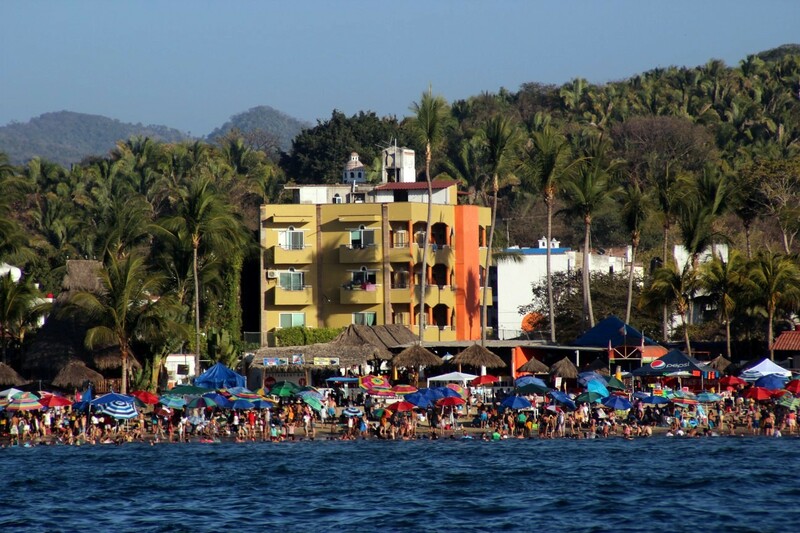 When I pulled the kayak up the beach, I was waved over to a table of guys under a palapa that greeted me, and as I walked to and from the town I would frequently receive a smile or wave from someone in a car full of local beach goers. I haven’t heard a morning cruiser net on the VHF for a couple weeks, and as much as we frequently make fun or grouse about them, I am looking forward to hearing one. We’ve said hi to a couple new boats, but for the most part we haven’t run into boats we know, or made new friends. Maybe we just needed a break, maybe it was just the areas we have been visiting. I’ve enjoyed our leisurely trip north, but I’m looking forward to some a city and shopping at more then a little tienda. Some of our staples are running a bit low, and I’m rationing the beer. Jenn has been out of wine for a couple weeks now. Finally, boat hats! They embroidered them for free while you wait with hat purchase. 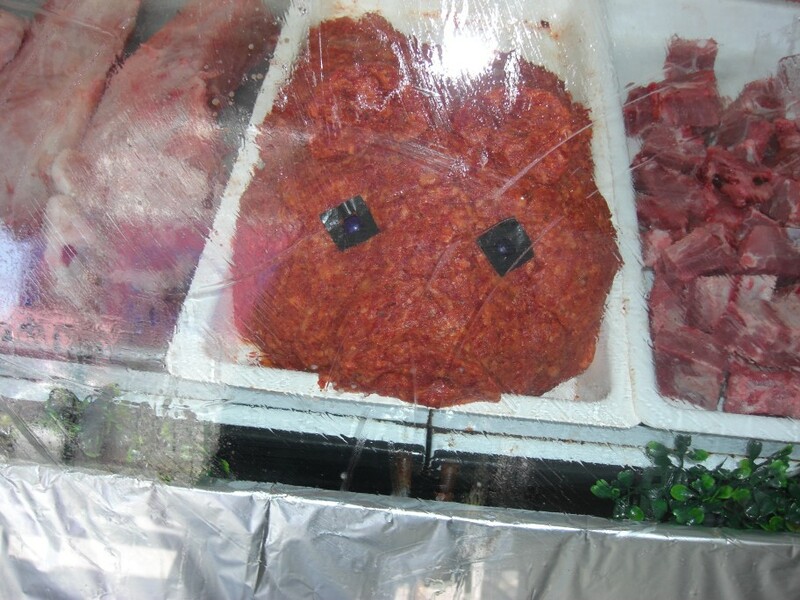 Does this really make you want to buy ground pork? Next post, I write about boobies. Lots and lots of boobies. 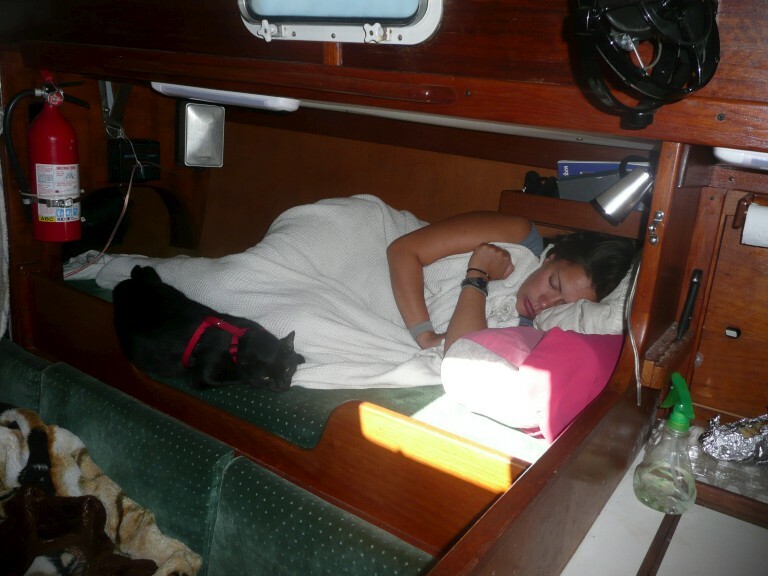 This entry was posted in Mexico, Passage Making and tagged banderas bay, Chacala, Jaltemba, matanchen bay, Norm Goldie, San Blas, slow cruising by Erlin. Bookmark the permalink.